Get Ready to Live ! A GREAT WAY TO HELP YOURSELF TO A PERFECT START TO 2018!! 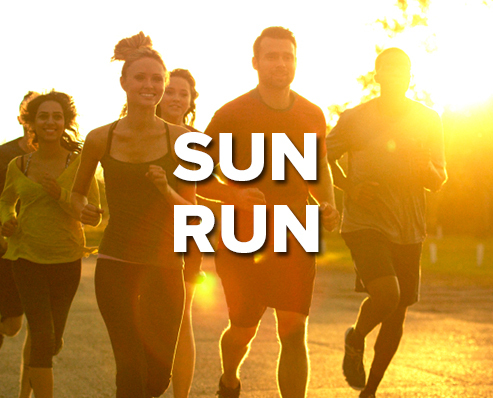 GET INTO A GREAT HABIT IN JUST TWO WEEKS TO START THE NEW YEAR! 1.Go to THIS LINK TO DECIDE YOUR REWARD. 3. Take a picture that represents your challenge and post it to your Facebook, your Instagram, or to the Facebook Group " Best Virtual Races" use Hashtag #BestVirtualRaces. We also welcome you to join us on FB. 4.Your reward will be promptly mailed anywhere in the U.S. For orders outside the U.S. please contact us. We love having fans abroad. Books will take quite a bit longer, we ask patience. 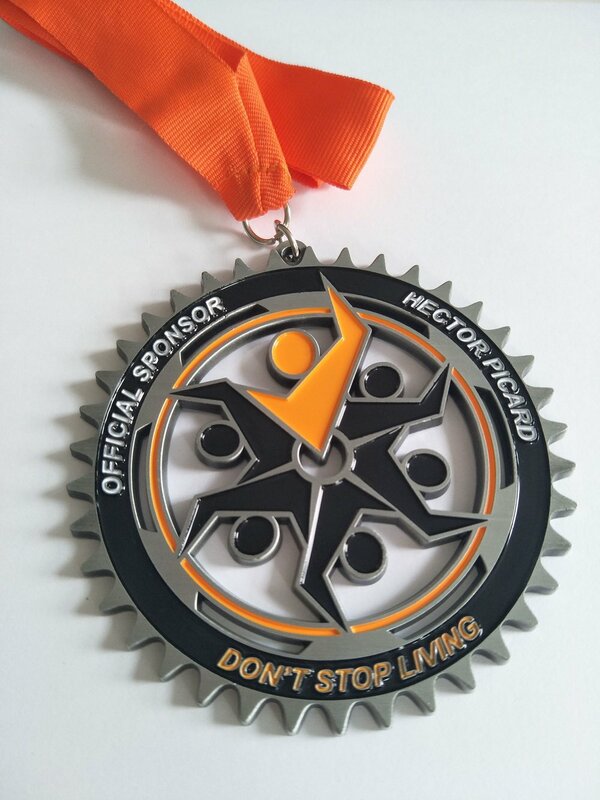 The 10/Fourteen Challenge medal Will be your commemorative of what you accomplished to start 2018 off right, at the same time you'll show the world that you are an official sponsor of the Don't Stop Living goals for 2018. * A beautiful full color Oversized 3 3/4" medal similar to the one seen in the picture. * The good feeling that one gets when they help people do great things. Please don't delay as people have signed up to take the 10/Fourteen Challenge even before we went live online with this meaningful offer. 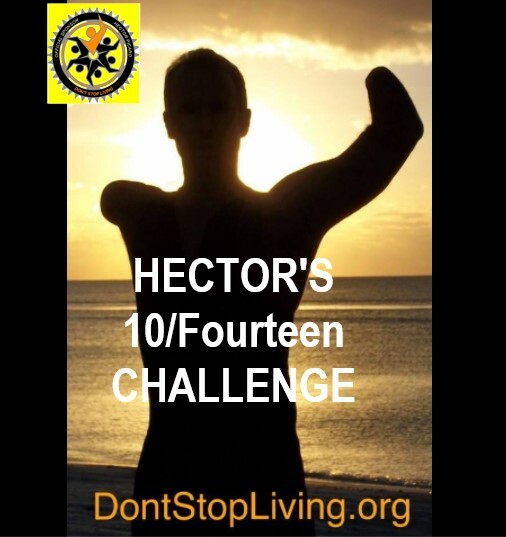 We expect to fit only 540 names of supporters in the upcoming book; Don't Stop Living, The Hector Picard Story so decide your level of support today, and commit to your challenge. Why not give this challenge and commemorative as a gift and have yours or their name published showing your support? LET"S DO IT! THIS LINK TO DECIDE YOUR REWARD. "The one thing in the world, of value, is the active soul."